To continue on with our Power Rankings we look at schools who are ranked 55- 47 when it comes to producing current NFL talent. The Arizona Wildcats gave us not only the top Tight End in the NFL but one of the league’s best personalities in Rob Gronkowski. Rob Gronkowski’s spectacular career has 68 receiving touchdowns and 6,095 yards in just seven seasons. 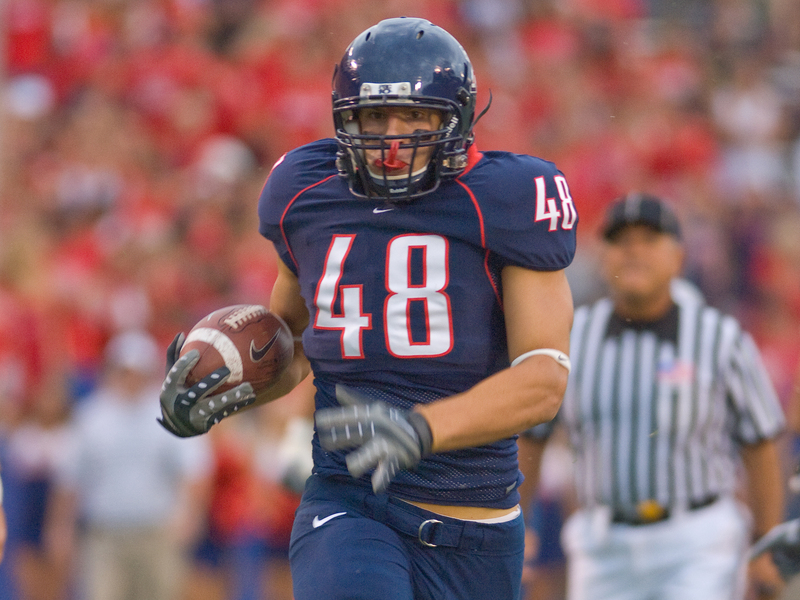 Gronk is also a Super Bowl 49 champion in a game which he scored a touchdown and a four time pro bowler making him by far the top Arizona alum in the NFL. Outside of Gronk Arizona gave the NFL one of the most solid kickers in the Jets Nick Folk, and Giants corner back Trevin Wade who has two career defensive touchdowns, and is a very hard hitting corner. If the top Baylor player in the NFL was named following the 2012 season it would be a no brainer it would be RG3 but due to his injuries and poor play he doesn’t just not get the title of top Baylor alum in the NFL he brings Baylor down to the bottom of this list. 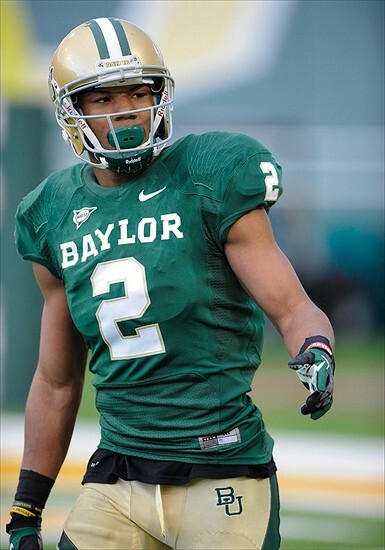 Will say the top Baylor alum playing right now is Terrance Williams of the Dallas Cowboys. In his four years in the NFL he has 20 career touchdown grabs for Dallas and has gone over 500 yards receiving in each year of his career. Robert Griffin III still gets a shoutout for being a rookie of the year winner and leading the Redskins to the playoffs in his rookie year. Now with the Browns he is the man Browns fans and ownership hopes can be the future. One of the NFL’s top kicker Matt Bryant of the Falcons also deserves recognition for being so good for so long. The Minnesota Golden Gophers have given the NFL one of its top receivers in Eric Decker. In his seven year career split in Denver and New York Decker has 5,253 receiving yards with 52 touchdowns. He was a key piece in helping Peyton Manning clinch the all time single season Touchdown pass record in 2013 when he caught 11 Touchdowns for 1,228 yards in Denver making him the top Gopher in the NFL. Unfortunately for Decker he missed nearly the entire 2016 season which really hurt his new team the Jets who won just five games. Maxx Williams of the Ravens and De’Vondre Campbell of the Falcons get the shoutouts. Williams caught 32 passes for the Ravens in his rookie season of 2016 while Campbell had 48 tackles with a pick and forced fumbles for Atlanta in 2016. The Georgia Tech Yellow Jackets also produced one of the NFL’s best Wide Receivers in the Broncos Demaryius Thomas. In fantastic seven year career thus far he has caught 546 passes for 7,704 catches and 52 touchdowns. He has five 1,000 yard plus receiving seasons making him by far the top Yellow Jacket in the NFL. The shoutouts go to Morgan Burnett Safety for the Green Bay Packers and Bengals defensive end Michael Johnson. Burnett has 630 career tackles and nine career interceptions for the Packers while Johnson has 39 career sacks in eight seasons with Tampa Bay and Cincinnati. If this list was made two-three years ago the Orange would be much higher but due to the ageing of some of their alums they are a bit low. Right to the top Syracuse player in the NFL is Giants Guard Justin Pugh. Pugh a former first round pick has become one of the NFL’s best run blockers and helped the Giants finished fourth best in sacks allowed in 2016. Chandler Jones once a top pass rusher, along with Dwight Feeney once legendary pass rusher and Arthur Jones of the Colts get shoutouts. Jones has struggled a bit over the last two seasons but did put together many good seasons in New England prior to his trade to Atlanta. Dwight Freeney was the cornerstone of the Colts defense during the Peyton Manning ERA but now 36 he is just a backup defensive player for the playoff bound Falcons. Arthur Jones of the Colts has 10 career sacks from the nose tackle position. 50. Kentucky: Randall Cobb WR GB Honorable Mentions: Danny Trevathan LB CHI, Wesley Woodyard LB TEN, Jacob Tamme TE ATLIf this was a list of which power five schools produced the best NBA players Kentucky would probably be number one but that’s not what this is.. However the Wildcats have given us some very solid NFL players the best being Packers receiver Randall Cobb. One of Aaron Rodgers favorite weapons over the last six seasons Cobb has 35 career touchdown grabs and was named to the Pro Bowl in 2014 after a 1,287 yard receiving season where he hauled in 12 touchdowns. Kentucky has also given us Linebackers Danny Trevathan of the Bears, Wesley Woodyard of the Titans and Tight End Jacob Tamme of the Falcons. Trevathan has 348 career tackles and after helping the Broncos win Super Bowl 50 signed a 24.5 million dollar deal with the Bears. Wesley Woodyard had 672 career tackles in his eight year career split between Denver and Tennessee. Tight End Jacob Tamme became a favorite of Peyton Manning in both Indy and Denver and is now Matt Ryan’s Tight End in Atlanta. You’d think UCLA would be a bit higher up on this list but like Kentucky probably would be top five if this was the NBA. Eric Kendricks is the top UCLA alum. The young linebacker has been brilliant in his first two NFL seasons with 201 tackles including 109 in 2016. The shout outs go to Giant Running Back Paul Perkins, Kendricks Minnesota teammate Anthony Barr and Patriot special teamer Matthew Slater. Perkins has emerged as the Giants starting running back in just his rookie season due to his great ability to make defenders miss, Anthony Barr a former first round draft pick out of UCLA has 208 tackles in his first three seasons, and Matthew Slater has been named to six pro bowlers due to his outstanding play as a gunner for the Patriots. Here’s what may be the first surprise of the list. Michigan a storied Football program barely makes the top 50. 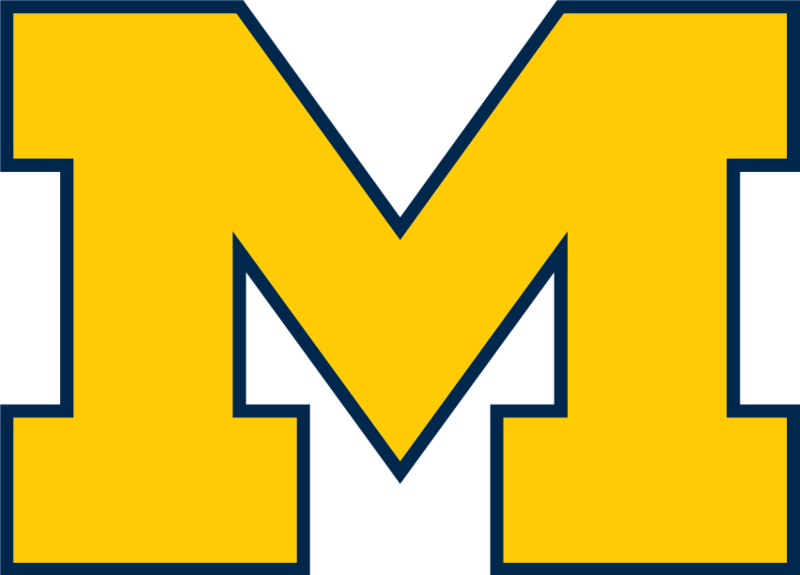 However due to many of it’s fairly recent alums like Charles Woodson recently retiring and the fact Michigan has been very average since 2000 they are low on this lit. 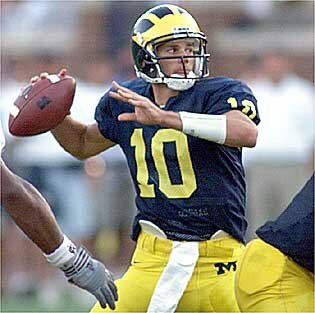 Easily the top Michigan alum in the NFL is long removed from his college days but still easily get’s the nod. The man’s name is Tom Brady. Four time super bowl champion Quarterback, six time AFC champion and two time NFL MVP this is a no brainer. The shoutouts go to Titans offensive lineman Taylor Lewan, Jets linebacker David Harris and Eagles defensive end Brandon Graham. Lewan once a top draft pick has been a key part of helping block the Titans very explosive rushing attack. David Harris a longtime Jet starter has 1,088 career tackles and has been a leader on and off the field for some both very good and bad Jet teams. Brandon Graham of the Eagles has become a top pass rusher for the Eagles with three straight years of at least five and a half sacks. The Oklahoma State Cowboys always put together good teams in Stillwater but don’t have that many players in the NFL as of now but the one’s that are there are pretty good. The top former Poke is Dallas Cowboy receiver Dez Bryant. The go to man in Dallas has 67 touchdown catches in his seven seasons. Bryant a two time bowler put together a monster 2014 where he had 16 touchdown catches and 1,320 yards. The shoutouts go to one of the top NFL Kickers Dan Bailey and very successful offensive lineman Russell Okung. Bailey has knocked through 171/191 of his career field goal attempts. Okung is a former pro bowler and Super Bowl champion as he became the glue of the Seahawks offense line and is now with the Denver Broncos. North Carolina State is one of those sneaky good schools at both football and basketball. Though they are never really national title contenders in either sport they produce some fine athletes. 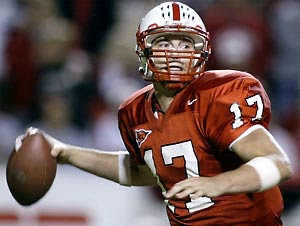 The top Wolfpack alum in the NFL is long time Charger signal caller Philip Rivers. In Rivers is a five time bowl Quarterback, the 2010 passing yard leader, and was named 2013 comeback player of the year. The shoutouts go to Bucs offense lineman J.R. Sweezy, Seattle Kicker Steven Hauschka and Dolphins pass rusher Mario Williams. Sweezy helped clear paths for once North Carolina State transfer Russell Wilson for the Super Bowl 48 Champion Seahawks and 2014 NFC Champion Seahawks teams. Steven Hauschka is also a Super Bowl 48 champion and has been among the top kickers in the NFL despite the brutal Seattle weather. Mario Williams once the top pick in the entire NFL Draft in 2006 is a four time pro bowler, and three time all pro living up to the number one overall pick name he is. Posted in Arizona Wildcats, Baylor Bears, Georgia Tech Yellow Jackets, Kentucky Wildcats, Michigan Wolverines, Minnesota Golden Gophers, NC State Wolfpack, NCAAF, NFL, Oklahoma State Cowboys, Syracuse Orange, UCLA Bruins and tagged NCCAF, NFL, Power Fives.